Our detox guide can help overcome your addiction once and for all! Detoxification is the process of safely eliminating drugs and alcohol from the body and is a crucial first step to the addiction recovery process. To abruptly stop using drugs or alcohol after a prolonged period of time or once physical addiction has set in can be a dangerous process and should not be undergone alone. Detox centers provide a safe environment for individuals to detox from drugs or alcohol while being monitored under close medical supervision. The detox guide provides a comprehensive resource where you can learn about all types of drug and alcohol detox programs, how they work and what to expect. The detox guide provides answers to all of your questions about detox programs so that there is no longer a fear of the unknown. You can rest assured that you know what to expect when you enter a detox center, you understand how the treatment will work and you will not be faced with any “unexpected” situations along the way. Here in the detox guide you can find information about alcohol detox, affordable detox, prescription drug detox, and other types of drug detoxification. You can learn about the different types of detox centers and detox programs such as holistic detox centers and rapid detox centers and you can find all of the information that you need to make an informed decision as to what type of detox program is going to be best (and most suitable) for you. So, whether you are wondering what types of medications are used during prescription drug detox or alcohol detox or you are wondering how a holistic detox program can benefit you, the answers can all be found here in the detox guide. Detox Programs.com is committed to helping people to quit using drugs and find a detox program that can provide them with a safe and affordable option to begin the recovery process. The very first step to recovery from drug or alcohol addiction is to safely detox and rid the body of drugs or alcohol. If you or someone you know is struggling with addiction, the detox guide can provide you with the tools necessary to find the best possible treatment options available so that you can smoothly transition from addiction to detox and begin the recovery process. Depending on the addiction and the individual, the detox process could take anywhere from 3 days to 2 weeks or more, but in most cases detox can be completed in about a week at which time the individual can safely transition into an addiction treatment program. Detox centers are an integral part of the addiction treatment process and provide the basis for all types of addiction treatment. If you or someone you know suffers from addiction it is important for you to know that you are not alone. Detox programs are in place to help you safely stop using drugs and alcohol and begin to recover from addiction. 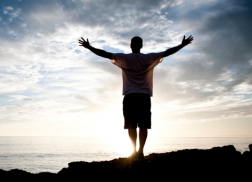 Drug and alcohol detox is vital to the overall success of any addiction treatment program. It’s the very first step and lays the foundation for addiction treatment. The counseling and other forms of therapy that are provided at addiction treatment programs are not effective unless the individual has first undergone a safe detox program that has effectively eliminated all of the drugs or alcohol from their system. After completing a detox program the individual is not longer physically addicted to drugs or alcohol and can then focus on psychological factors associated with addiction without feeling any of the physical ailments associated with withdrawal . Detox programs help you get detoxified! You should get one today!